Gold Arrow campers who have completed the 9th grade take part in a special celebration at the end of their camp session. These campers and their counselor gather around a magical campfire created just for them when the rest of camp is settling into their sleeping bags. This is a milestone and tradition that campers both look forward to and have feelings of trepidation about because it signals the beginning of something new and the end of their time as a carefree camper. Each camper receives a paddle inscribed with their name and a special word selected by their counselor. Notches on the wood represent the years spent at GAC. 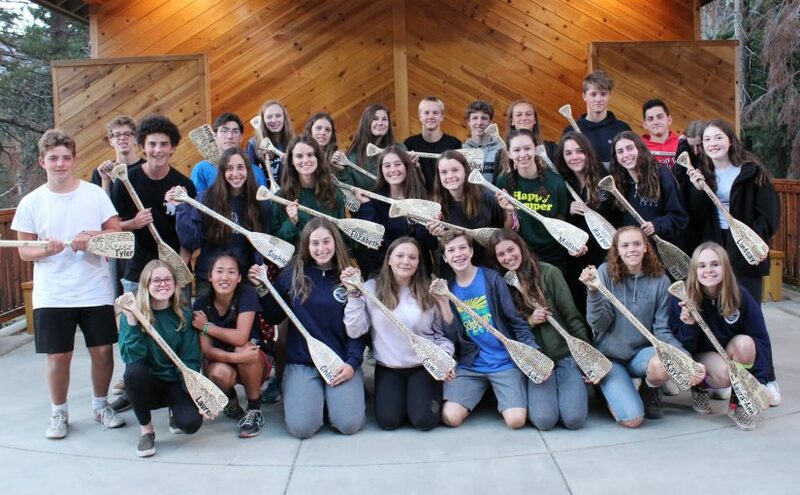 For our graduating campers, this paddle is more than wood and inscriptions, it’s the hope of what lies ahead after the many lessons learned as a camper. As soon as Soy started talking about why they use a paddle and not an anchor had me bawling my eyes out. It really showed me how throughout these past 7 years at camp I’ve used my paddle that didn’t even exist. When the counselors were calling campers up to get their paddles, it was such an amazing moment, because every counselor said things about their camper and who they are as a person and everything that’s beautiful about them. As soon as my name was called I completely lost it. I was in tears crying and trying to control myself. My counselor told me all the things that were great about my personality and what they hope I wish to peruse in the future. At the end of the ceremony, Soy gave the star speech. I will never forget that speech. Every summer for the rest of my life when I’m not at camp I will think about how I’m still looking at the same sky that camp’s looking at. I already knew from the moment I walked into GAC in 2012 I was apart of the GAC family, but from that moment on I knew that I had made my mark there and I was/am never going to leave my home away from home. I cannot wait for my adventures that hold in these next years! Why Henry Blum Loves Camp! 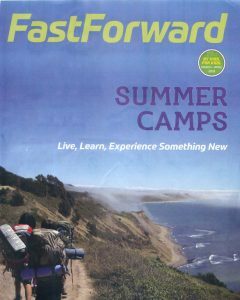 Recently, a copy of Fast Forward magazine arrived at the Worldwide Gold Arrow Camp Headquarters (GACHQ) and we were thrilled to see that one of our campers, Henry Blum, had written an article about GAC for Fast Forward! Ari Blum and Mead Wallace were both campers and counselors at GAC in the 1990s and early 2000s. 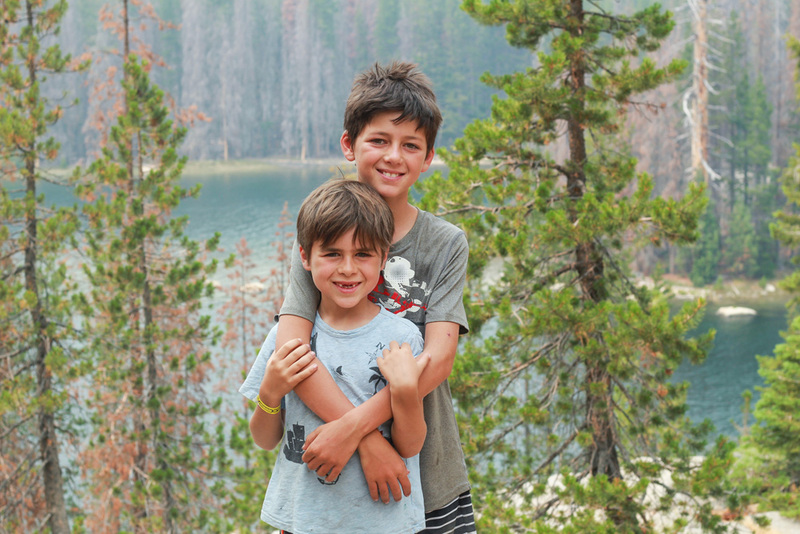 Now Ari and Mead’s sons, Henry and Caleb, are continuing the family GAC tradition. It seems like GAC really runs in their family! 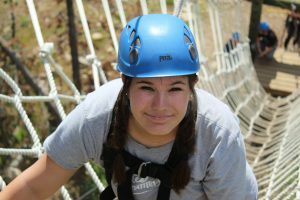 You hear from us about why camp is great, but it’s even better to hear it from a camper. That’s why we’re re-printing Henry’s article here on our blog for you to enjoy. 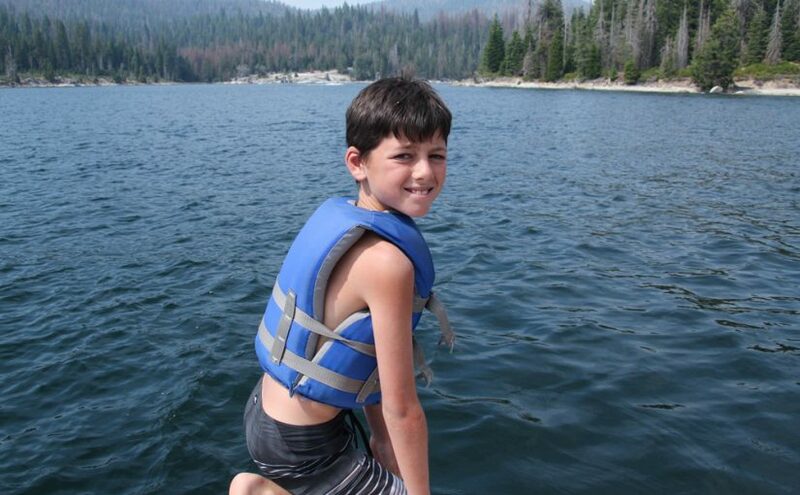 Have you ever felt the urge to go outside, camp, tell stories by the campfire or go down by the water and play? If so then Gold Arrow Camp is the place for you. There are great experiences at Gold Arrow. The last time I went I discovered a love of sailing. I love the wind in my face, the spray of the water, and being outside. I chose sailing every evening during free time. Because I practiced so much, I qualified for the sailing trip to Willow. The Willow Sailing Trip is a six-mile adventure across Huntington Lake. Sailing to Willow took all day but it was a lot of fun. Now I love sailing. I started sailing on a team at home. Gold Arrow brought that out in me. Gold Arrow is a place where you can be whoever you want to be. Your cabin mates are like your brothers. If you get homesick a counselor is right there to comfort you. At camp the counselors pick camp names. It’s fun to figure out what their real names are. The counselors are really kind. My counselors encouraged me to try new things. Sometimes you’re scared to try a new activity and then your counselors help you try it. You discover a new favorite activity. 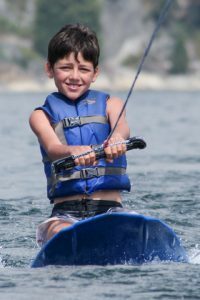 Gold Arrow has water sports like waterskiing, wakeboarding, kneeboarding and stand up paddleboarding. Giant stand up paddleboarding gets a whole cabin of kids on two or three giant paddle boards. My cabin mostly spent giant SUP time jumping into the lake. Gold Arrow Camp is in the mountains on Lake Huntington. The lake can be cold but on hot days it feels refreshing. The food at Gold Arrow is really good. I loved orange chicken. Around the end of every session we have a banquet with soda and very special food. And, everyone is super friendly. That’s why I love Gold Arrow Camp. Sign Up For Email Blog Posts.